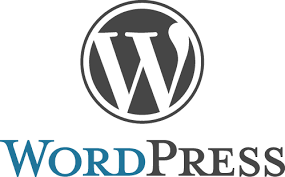 WordPress is the most popular CMS on the planet, and with good reason – it’s open source, highly supported, constantly updated and infinitely configurable. We’ve been using it for about five years now, from the simplest content-managed websites right through to the most complex of business systems, and done right it’s the most versatile, adaptable system there is. The way we deploy WordPress, using a mix of built-in functionality and additional configuration techniques, means we’re able to take what the CMS does really well – rapid deployment, incredible extensibility through plugins, and extremely user-friendly interfaces – and combine with alternative solutions to by-pass what it’s not so good at – data-heavy websites, advanced search capabilities, general site speed at scale. The end result is an interface our clients love, with the power and functionality you’ll normally pay a lot more to get with any other system. Doesn’t WordPress get hacked a lot? Well, yes…but that’s not because it’s insecure…it’s because people install it and then don’t update it, or install any old plugin that might be poorly written, or simply not updated in several years. Get in touch, and we’ll talk you through our approach and why it’s probably the best system for your needs. Need to make your budget go further? We focus on your project’s objectives and the needs of your users and your business to make sure that you get everything need, and nothing that you don’t. Strategic planning? Creative and brand? Full build? No problem.